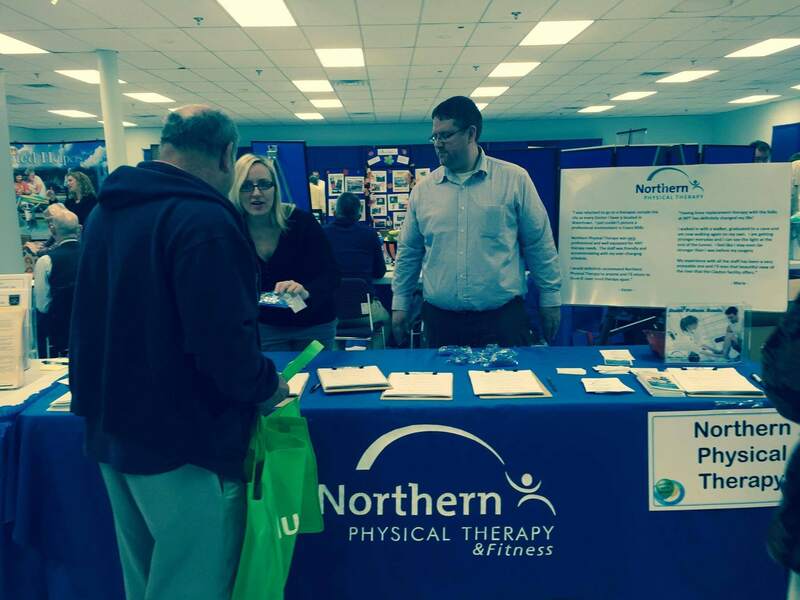 In our efforts to educate our community, and to aid you in living a happy and healthy life, you will often find us at local Health & Wellness Fairs throughout St. Lawrence and Jefferson County. Health fairs give us the opportunity to get useful information out to you, the public, and to offer screenings. You can find us at events such as the annual Ogdensburg Boys & Girls Club Expo, The St. Lawrence Psychiatric Center EAP Health Services Fair, Thousand Island Young Leadership Organization Green Fest Expo, Senator Patty Ritchie’s Senior Health Fairs and more. 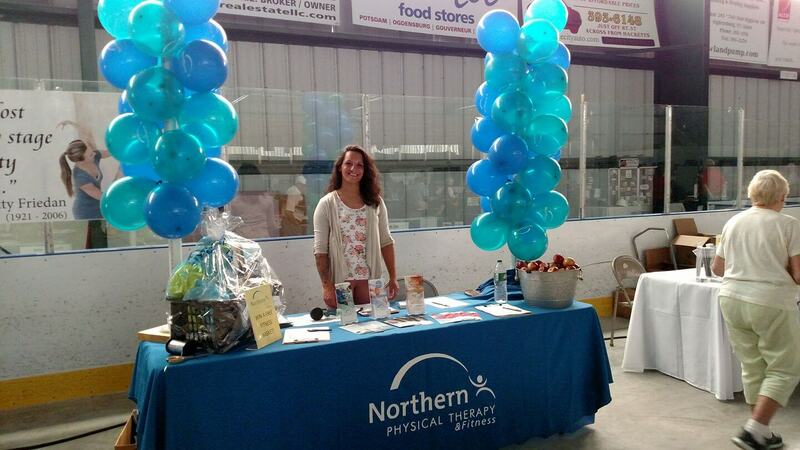 Northern Physical Therapy also donates regularly to local organizations and events by making monetary donations or items to raffle. 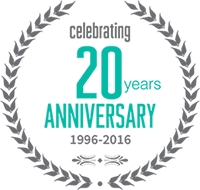 We often sponsor events such as golf tournaments, jamborees, festivals, and tournaments held to benefit organizations or families that are in need. All of our offices participate in “dress down” Friday’s when NPT staff make a donation to wear jeans to work. Each office selects a charity to donate the proceeds to at the end of the year. Jeanine McLellan, PT and owner of NPT, met with the Clayton Senior group as part of NPT’s Health & Wellness Series and FREE balance screenings were provided to this very dynamic group. Call us if you have a group that would like to become part of our series – NPT therapists love helping our community! 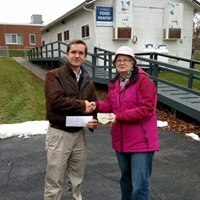 Our Evans Mills staff chose to donate their “Jean Fridays” participation fees to support the St. Mary’s Food Pantry in Evans Mills, NY! 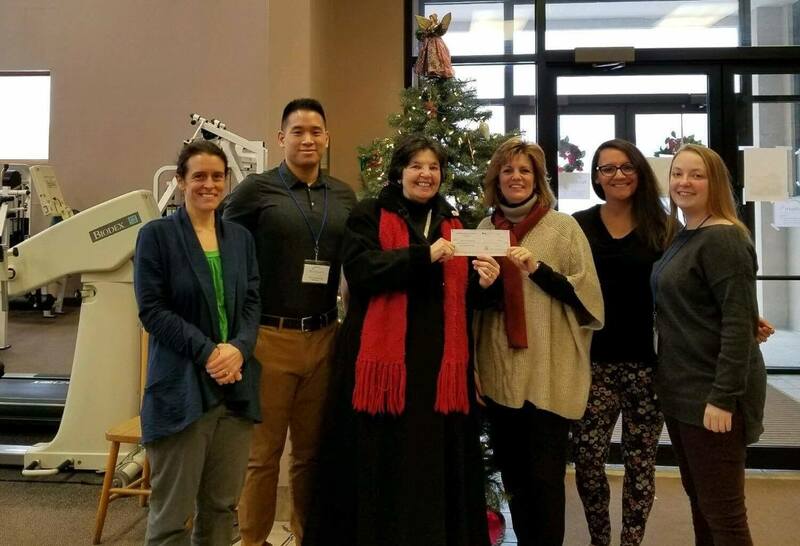 Ogdensburg staff pooled their weekly “Jean Fridays” participation fees to support the “SnackPack” Program in Ogdensburg, ensuring that schoolchildren get a healthy meal on the weekends, too.